Our Classical stencil designs are perfect for traditional, French or elegant formal room decor. They even work for modern setting if done in a monochrome. These timeless and elegant stencils work well on walls, ceilings, doors and cabinetry. Our intricately designed stencils are some of the the most sophisticated in the industry! These elegant stencil designs bring instant class to any room in your home. 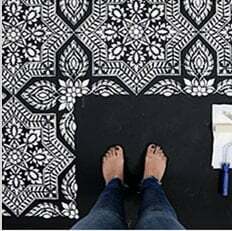 Don't be intimidated by their intricacy - while it takes an artist to create a beautiful stencil, stenciling itself is a simple technique that doesn't require an artistic ability. Please watch our How To Stencil Videos to learn an easy multi-color stenciling technique.